How To Set Up Windows Laptop Tracking In Case Your Data Is Lost Or Stolen? Losing your valuable thing such as your laptop can induce stress. You not only lose your laptop, you lose your data, which is more frustrating. Well, locating your devices has become easy with an extensive feature of Windows 10 and of course location services. You can also get hold of your things by using third party software. In case, you want to keep your laptop safe or want to track your laptop anytime you want, you can read this to know how to make it happen. To locate your laptop, you need to enable a Windows 10 service to make it possible to locate your device if stolen. 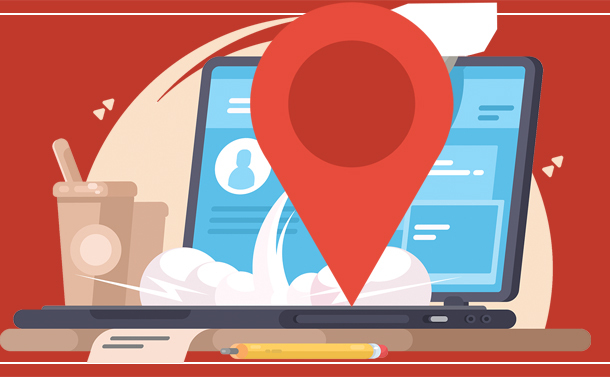 In this post, we have listed how to use Windows’ feature ‘Find My Device’ to locate your stolen or lost laptop along with some of the best tracking software for PC. Go to Start Menu and click on it to get to Settings. From the Settings window, click Update & Security. Now look for Find My Device. If you haven’t turned it on, you will get a link: Turn on location settings to use this feature. Click the link. You will be taken to location settings. On the next window, navigate to Location for this device is off and click Change. Once again, open Find My Device. Locate Change under it and click on the toggle switch to turn it on! Note: Before turning it on, you will be prompted to sign in to your Microsoft account. To locate your stolen or lost laptop, you need to visit account.microsoft.com/devices. A list of devices which uses Microsoft account will be displayed. If you have the feature turned on any device, you get to know its whereabouts. Click Find My device and you will get the location of your device. The feature will not work if you have logged in to your computer which has domain login. If you are not an administrator. If your computer is not connected to WiFi. One of the best laptop tracking software, Prey keeps an eye on your device to ensure safety. It is useful to track your phone, tablet, and laptop. This free tracking software makes it possible to get all the information on the device stolen or misplaced to help you locate it. It gathers all the information such as pictures of the person using the stolen device, location, IP address and more. You can wipe your data to keep the thief from stealing data. You can remotely lock your device to make sure that your files remain untouched. If your device is online, you can recover your sensitive data. Lock access, protect your information on your stolen device. Delete your sensitive files and prevent identity theft permanently. Locate your device using a combination of WiFi, GPS, and IP geolocation. Back up your files online with provided 10 GB encrypted online backup. Comes with multiple layers of protection. Sounds an alarm when your locked laptop is unplugged from its power source. Shows Geolocation of your device. Online vault with which you monitor and control n number of installations of the tool. Configure Laptop Superhero to shred documents, temporary files, Recycle Bin folders with a lock command. Captures a webcam image whenever the device starts up. Uses Wi-fi positioning technology, and pinpoint your laptop’s location. Clicks photos of the intruder to know who took your laptop. Sends location, images, network information to your computer system. Comes with high secured tier 4 facility, which includes on-site armed security around the clock. So, in this way you can setup Windows laptop tracking in case your laptop is stolen or misplaced manually or with third-party software.